A dog was left with ‘elephantine’ skin covering its eyes in one of the worse cases of animal neglect seen in Britain. 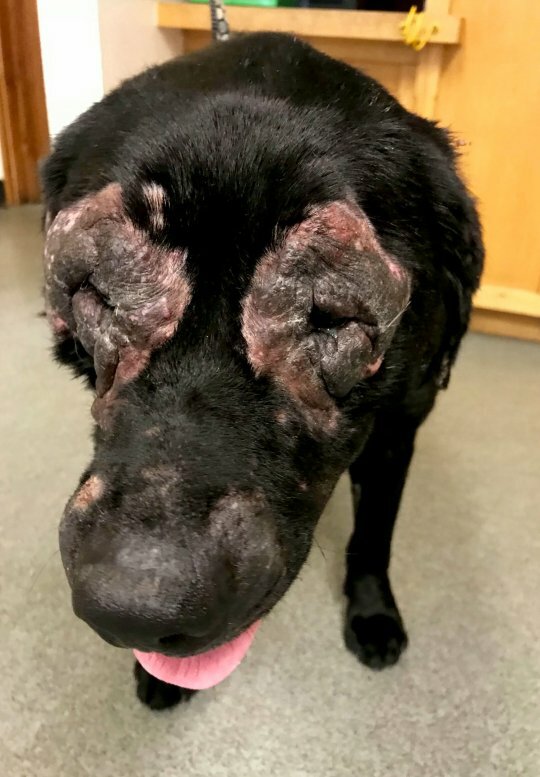 Owner Lisa Crossley, 45, failed to take her Labrador Abbie to the vets when she developed a painful rash on her face last April. Telford Magistrates’ Court heard how the condition worsened and became so severe the tissue thickened into ‘elephantine’ skin, forcing Abbie’s eyelids to fold in on themselves and rub against the corneas. A concerned member of the public alerted the RSPCA who seized Abbie from Crossley and rushed the dog to the vets. When vets finally examined Abbie, they found that it was too late to help her and the dog was put to sleep. Inspector Kate Parker, who investigated, said: ‘Poor Abbie had an awful skin condition which was left untreated and this caused her condition which meant her eyelashes were rubbing on her eyes constantly – which must have been horrendous. The vet who examined Abbie also found she had hip problems and due to her other chronic health issues it was decided the kindest thing to do would be put her to sleep. Inspector Parker added: ‘It was so upsetting to see Abbie in this state, she was such a lovely and affectionate dog. 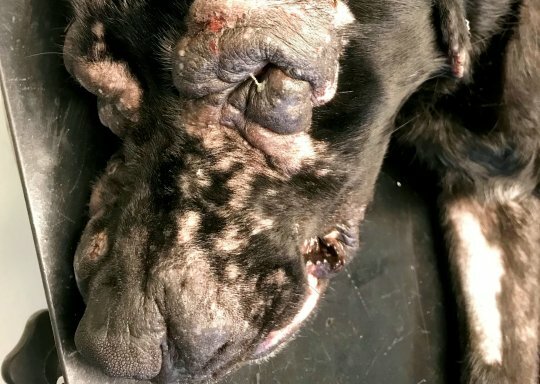 ‘There is never any excuse to not seek veterinary treatment when a pet is clearly in need.’ The RSPCA has since shared images of the dog’s condition to highlight the case. I cannot print what I think here. Most people who see’s this will feel the same. My favourite dog in all the world is the Black Labrador.